Well, it is closet cleaning time in Southern Maryland. No closet or drawer gets a Free Pass. Yep, it is heave ho, straighten , tidy and clean time. Hey, you wouldn't believe the stuff I've Found. MY best trick? I decorate the inside of each closet with momentos and photos so each closet is a spectacular treat to visit. 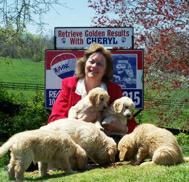 Retrieve Golden Results with Cheryl Ritchie, RE/MAX Leading Edge, for all your Southern Maryland and Anne Arundel County Real Estate Services. Visit www.GoldenResults.com. When You Clean Your Closets You Clean Your Cobwebs! You Mean YOU Clean a Little Every Day? I USED to do one PROJECT at a TIME! Have you tried drinking THIS? Ideas for Mass Scanning OLD Real Estate Files?